As case management moved into acute care settings the roles and functions of both RN case managers began their evolution. From the time of the UR specialist sitting in the corner of a nursing station reviewing a record for medical necessity to appease the state physician review organization to the current role of the RN case manager involved in multidisciplinary collaboration, the roles have changed significantly. Additionally, case manager roles are transitioning across the continuum of care and are integrating through varied communication strategies. This program will review the contemporary roles of both RN case managers and social work case managers, in addition to clerical support and more complex case management roles, such as the complex discharge planner. Evaluate your roles and functions, as well as the roles and functions of your department in this informative seminar. From a model with social work support to a model without that critical support, case management leaders and hospital executives have been challenged to ensure a best practice model that lends itself to the most optimal outcomes. These outcomes are those that support both the hospital’s strategic plan and its revenue cycle. This webinar will discuss the varied models, including the currently considered model of moving utilization review out of the case manager’s hands, and in some cases, out of the case management department. As the models are reviewed, the opportunity will exist for the attendee to evaluate their model and determine if it is one that meets the need of their hospital, as value based reimbursement and other alternative payment models come in to play for all hospitals. Are you ready to handle cases in 2019? - Case management models - Pros and cons of different models And more! Understand the role evolution of case managers. Describe the different skill sets and roles of RN case managers and social work case managers. Review specialty case management roles and determine new or updated roles for your contemporary case management department. Understand the evolution of case management models. Describe the advantages and disadvantages of each model. Identify the best model for to ensure a contemporary case management department. Participation in the live Q&A with the speakers following the presentation. 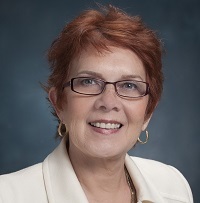 Toni Cesta, PhD, RN, FAAN is a founding partner of Case Management Concepts, LLC. Dr. Cesta is the author of eight books, a frequently sought-after speaker, lecturer and consultant and is considered one of the primary thought leaders in the field of Case Management. Dr. Cesta also writes a monthly column called Case Management Insider in Relias Media’s Hospital Case Management newsletter. 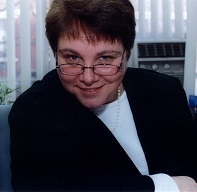 She has been active in the research and development of Case Management for over 20 years.